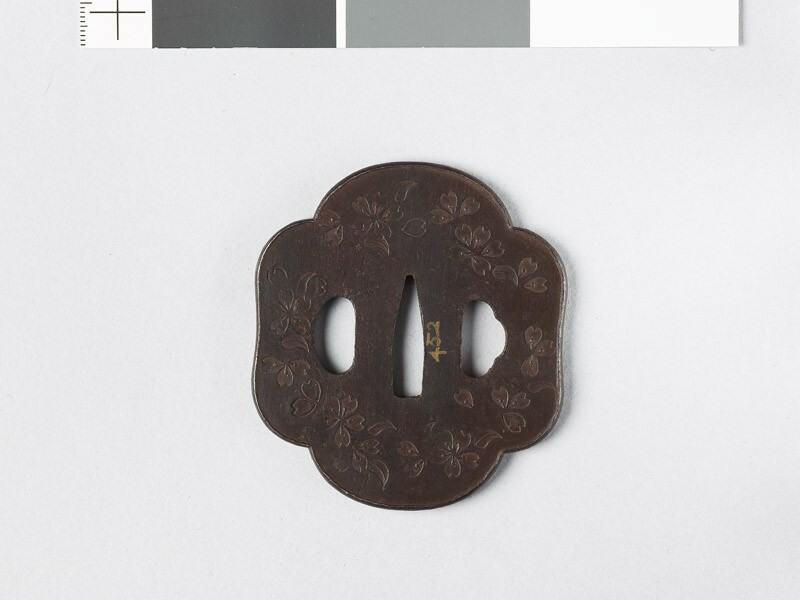 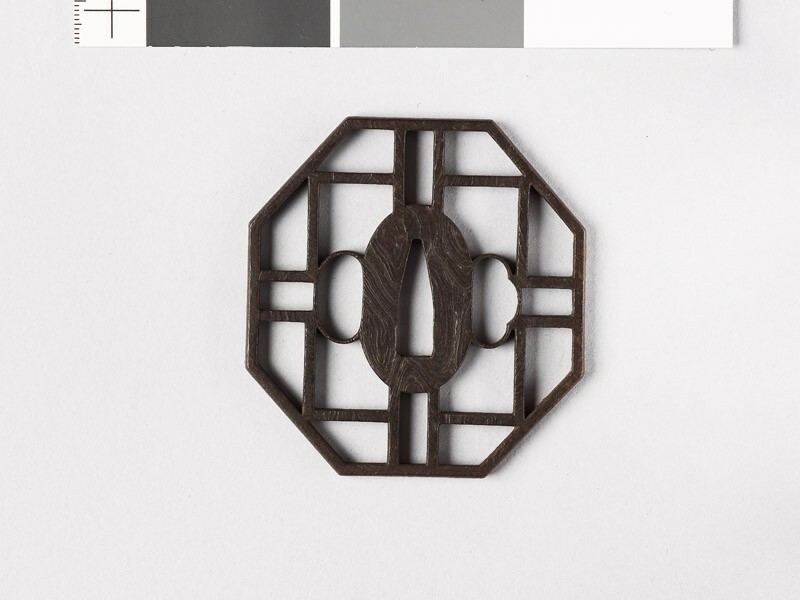 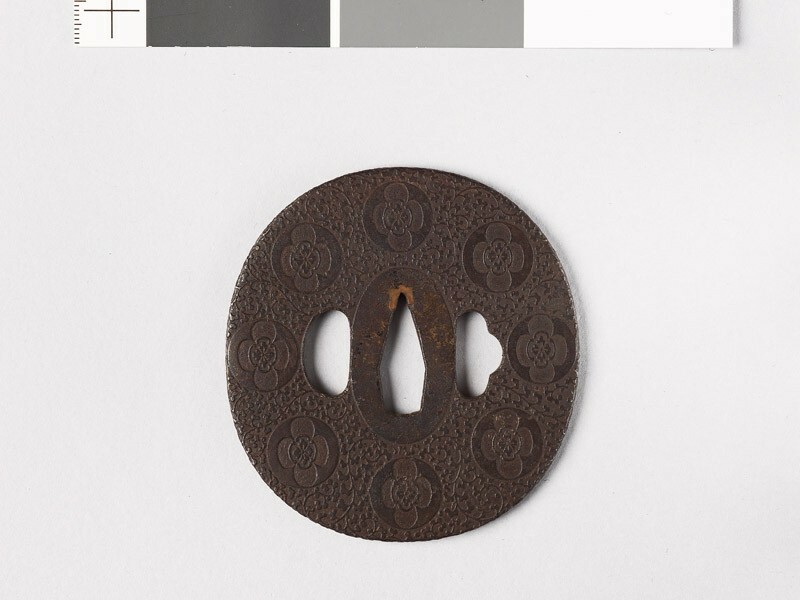 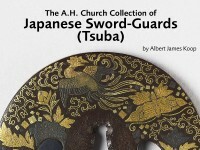 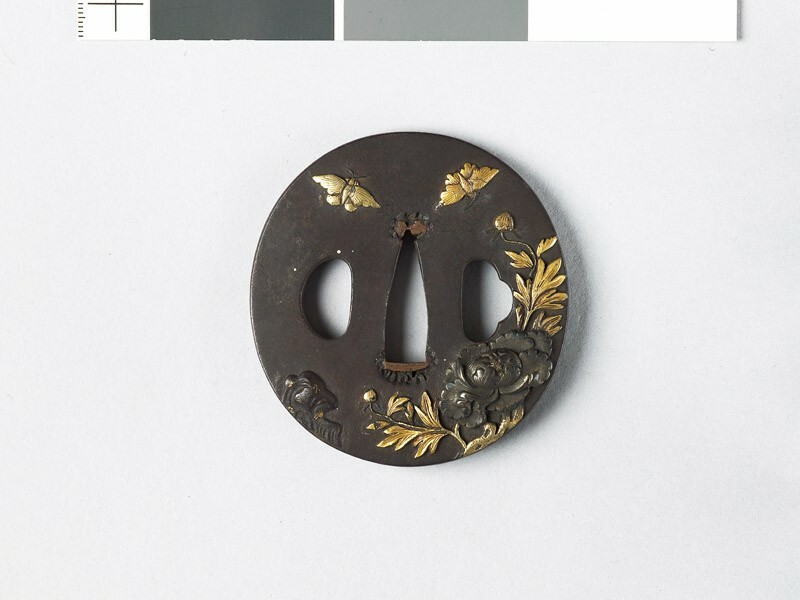 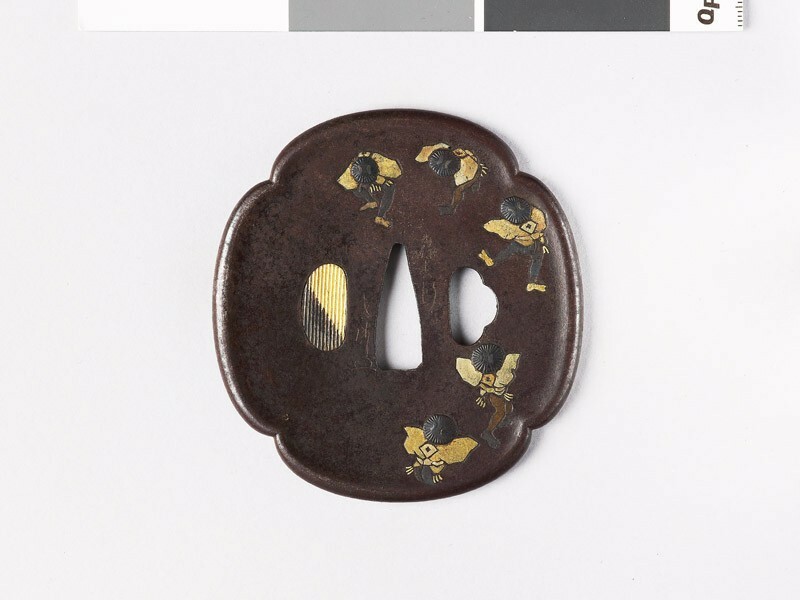 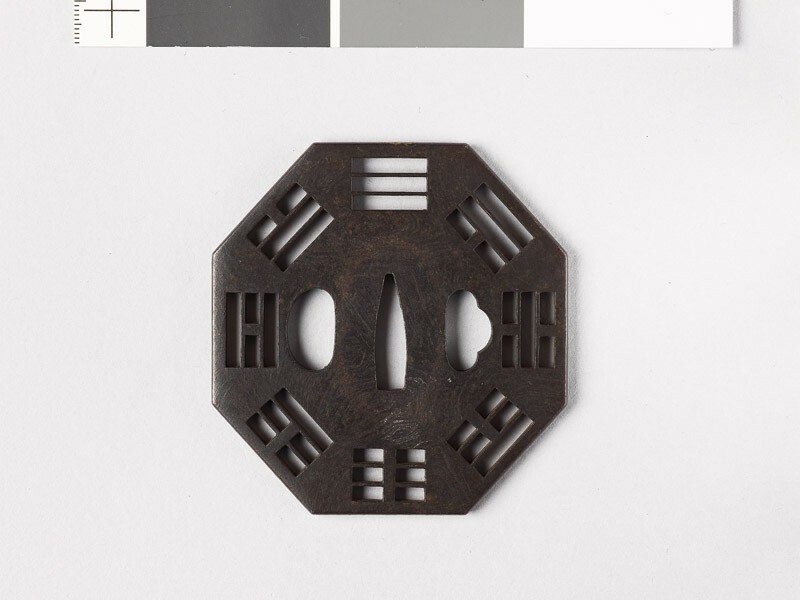 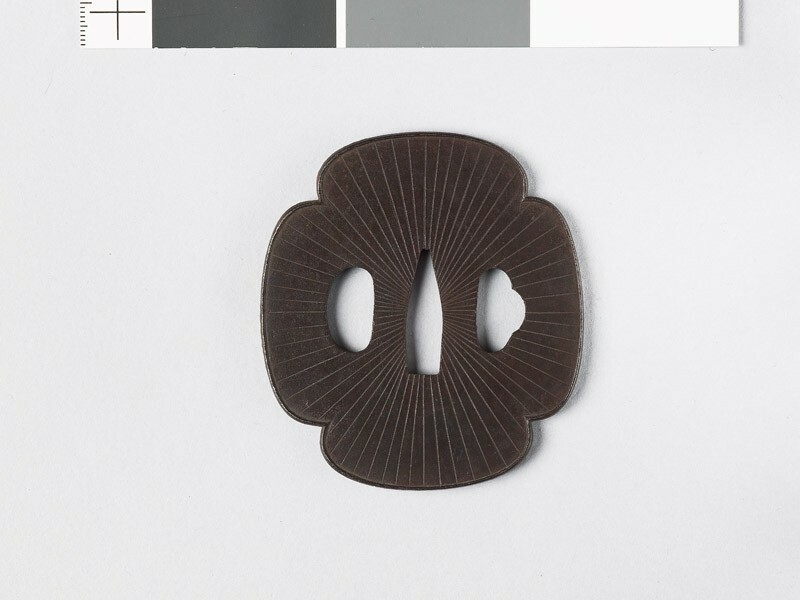 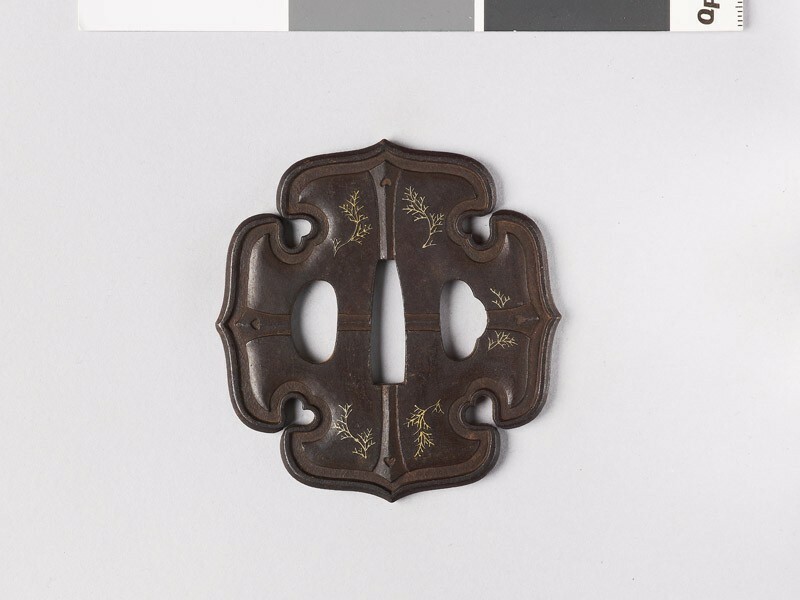 This group illustrates the use of lacquer for the decoration of guards. 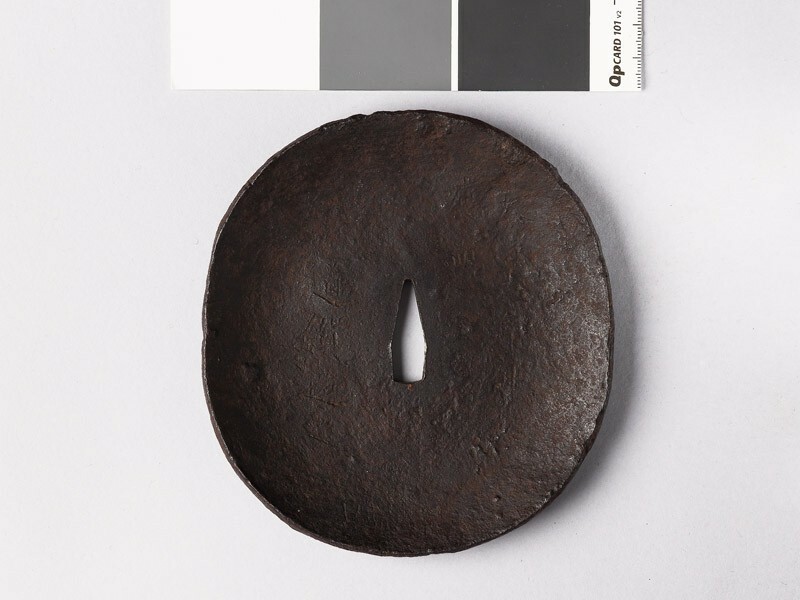 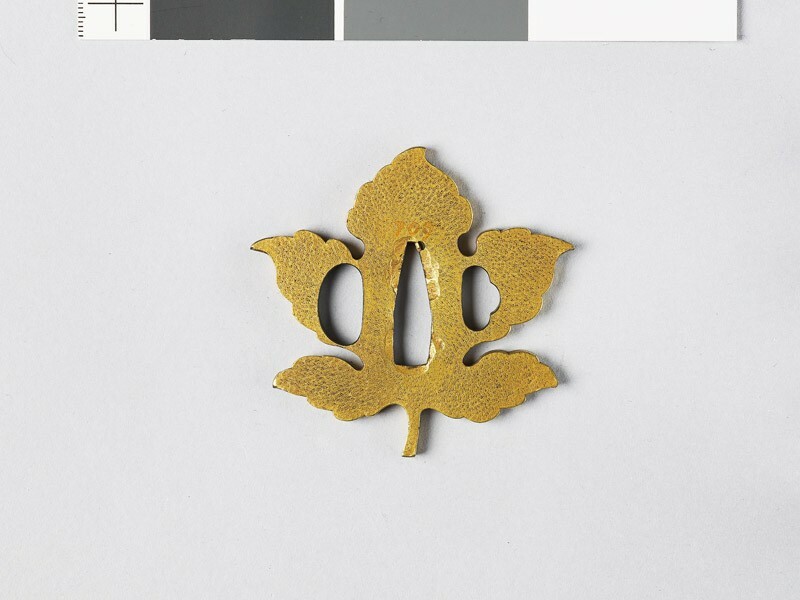 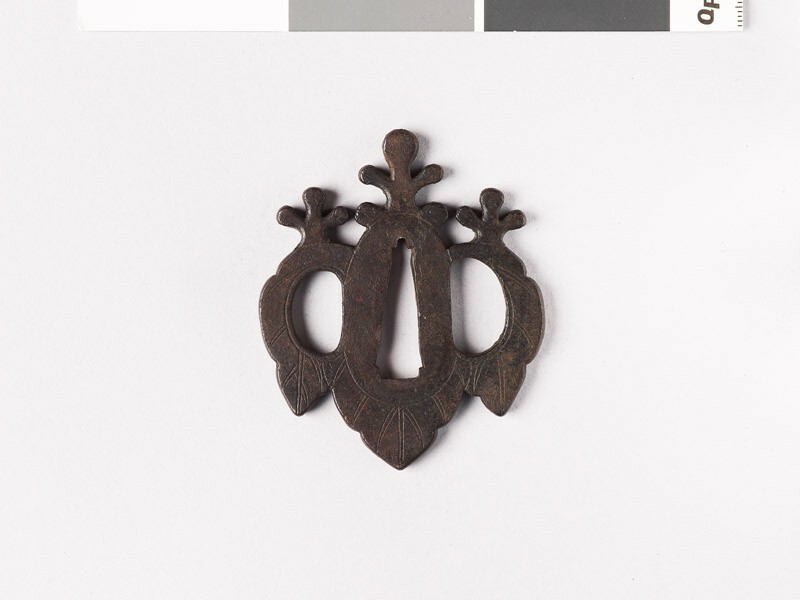 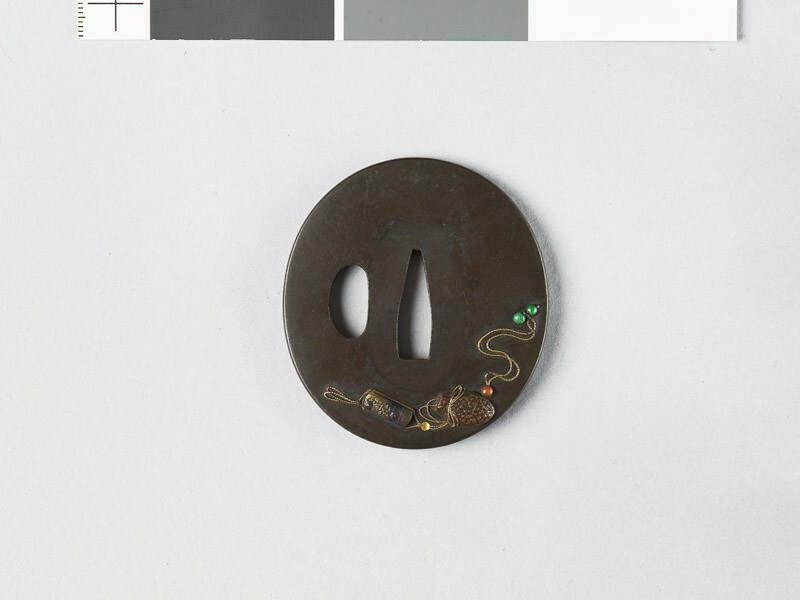 Some of the work thus treated may be regarded as a frank imitation of actual metalwork. 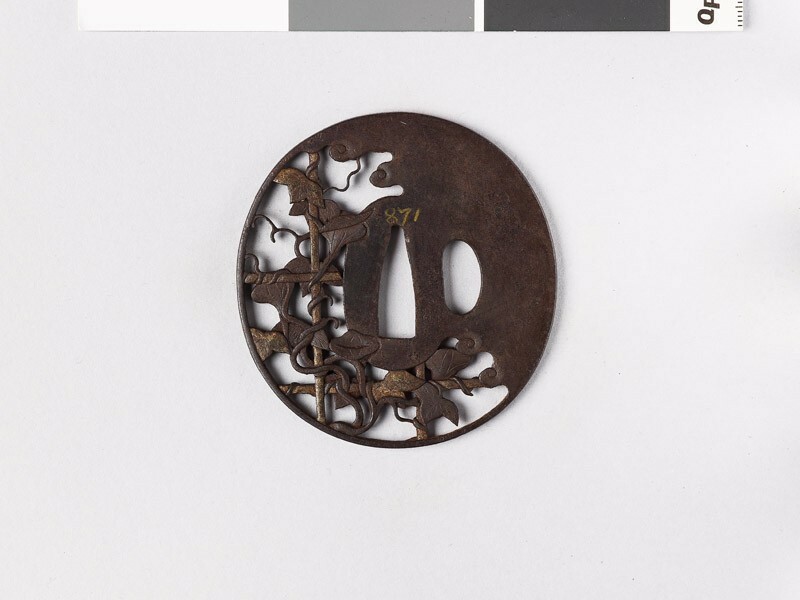 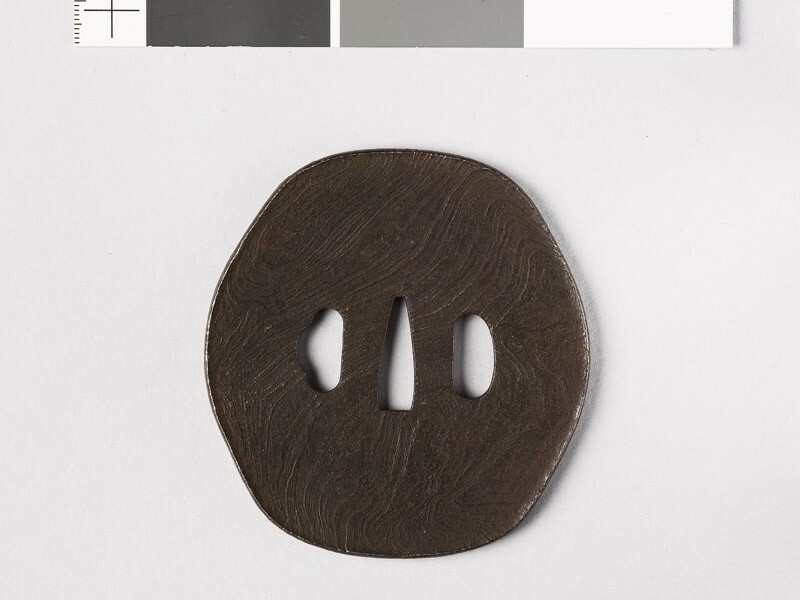 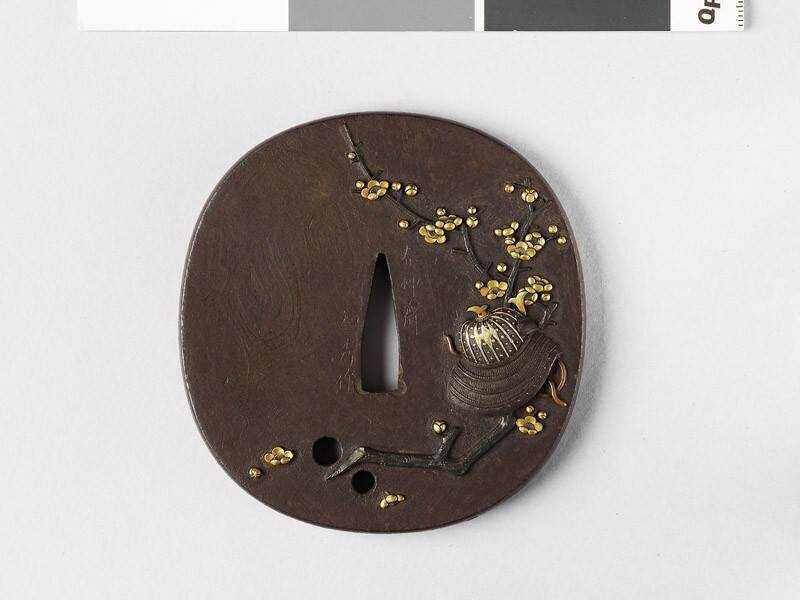 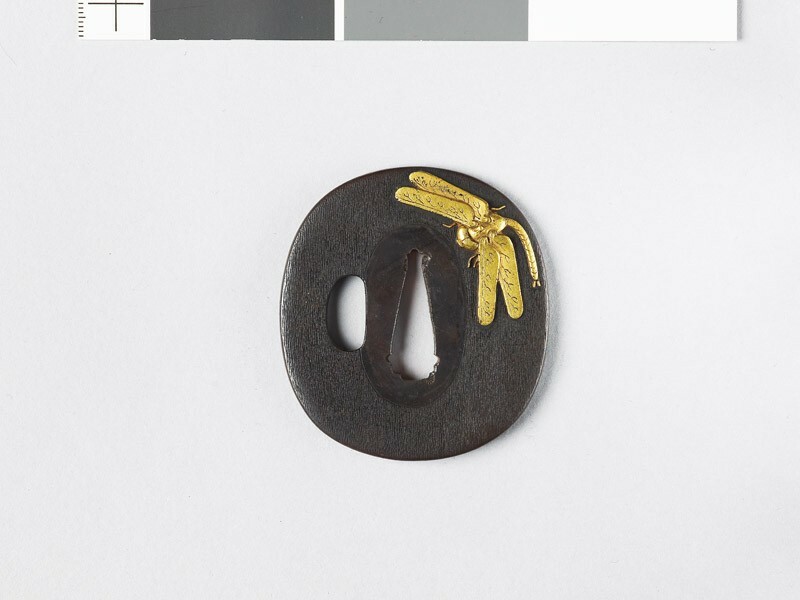 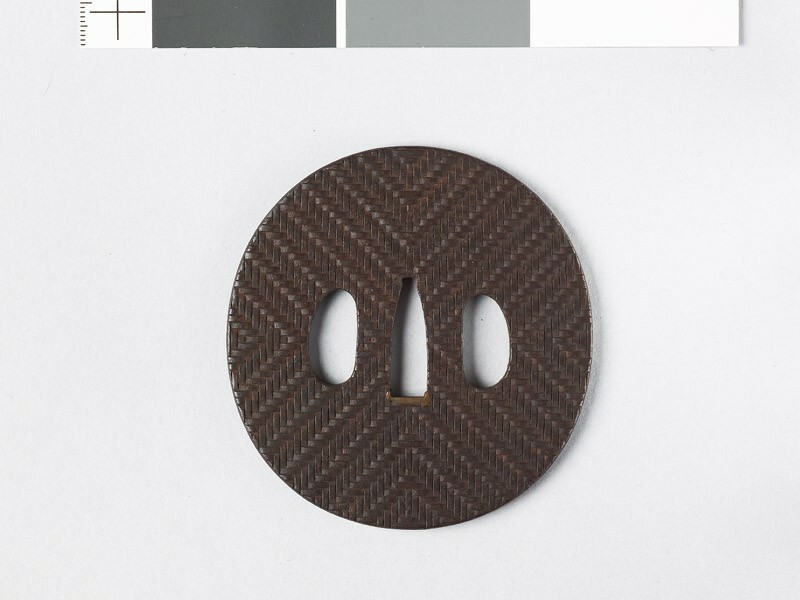 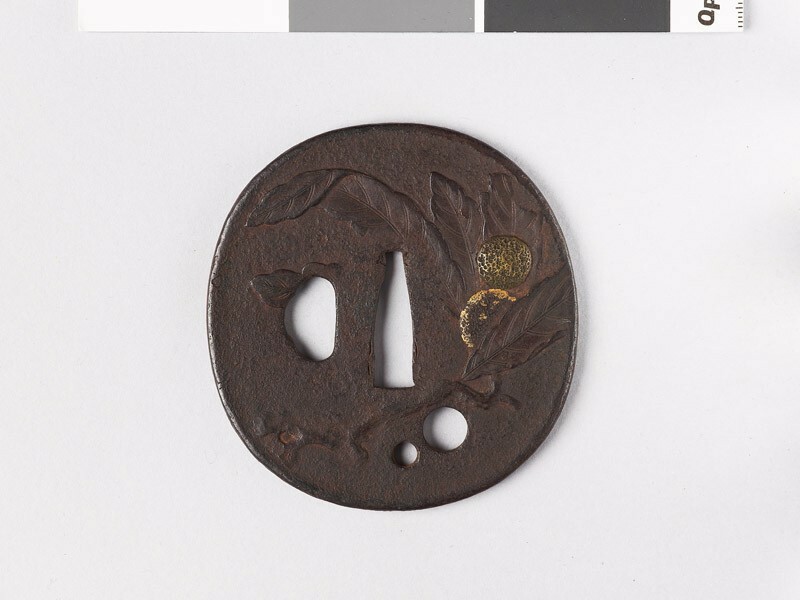 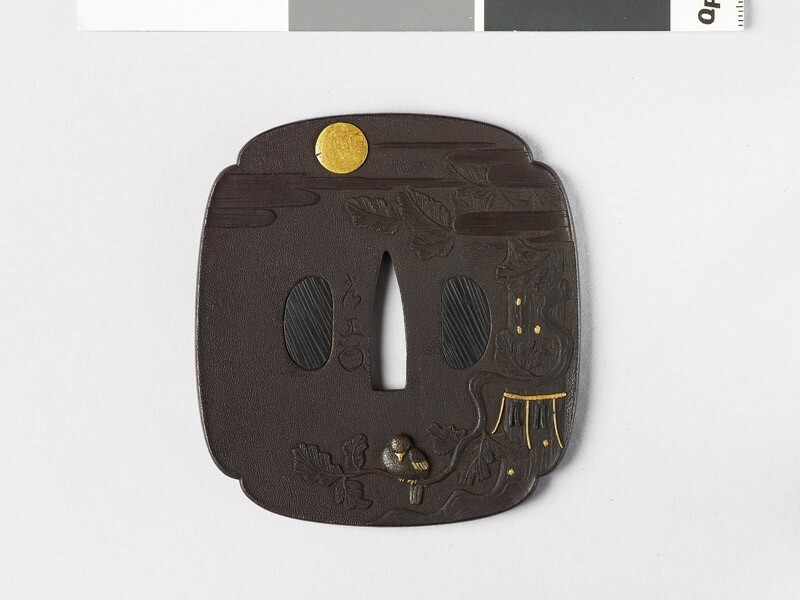 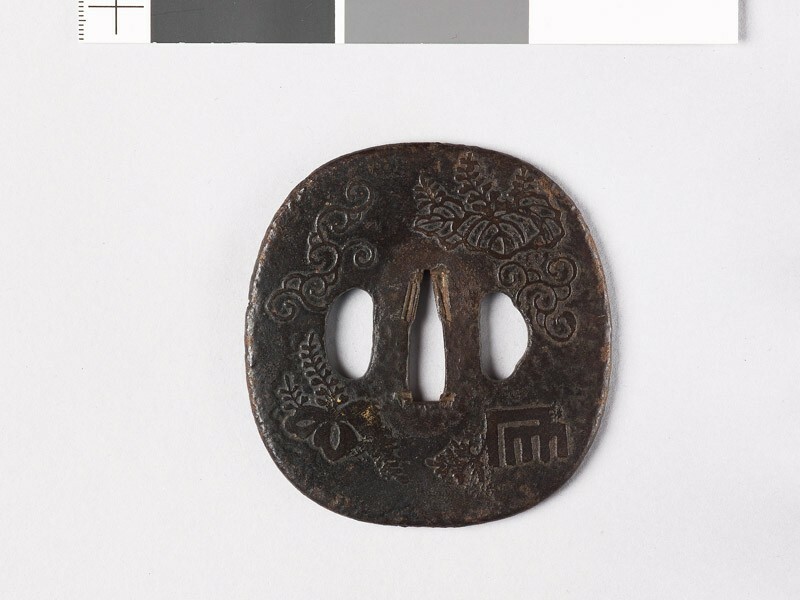 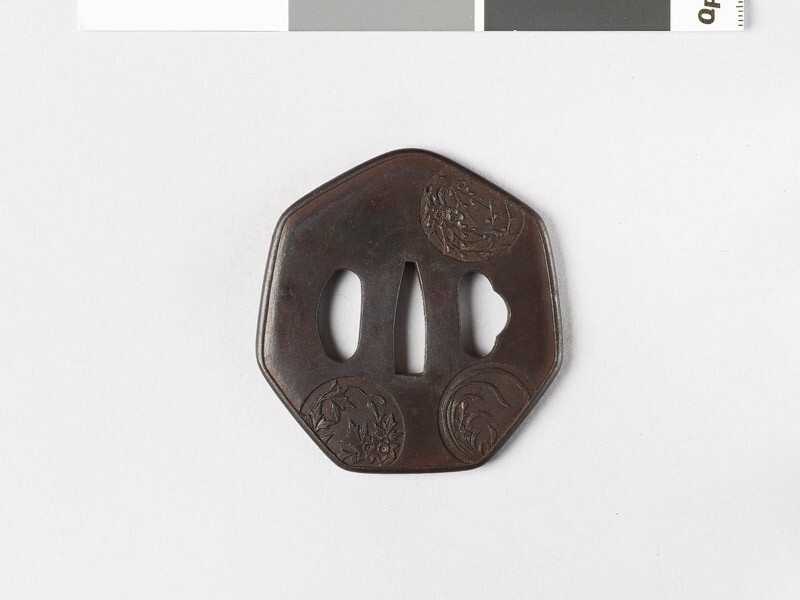 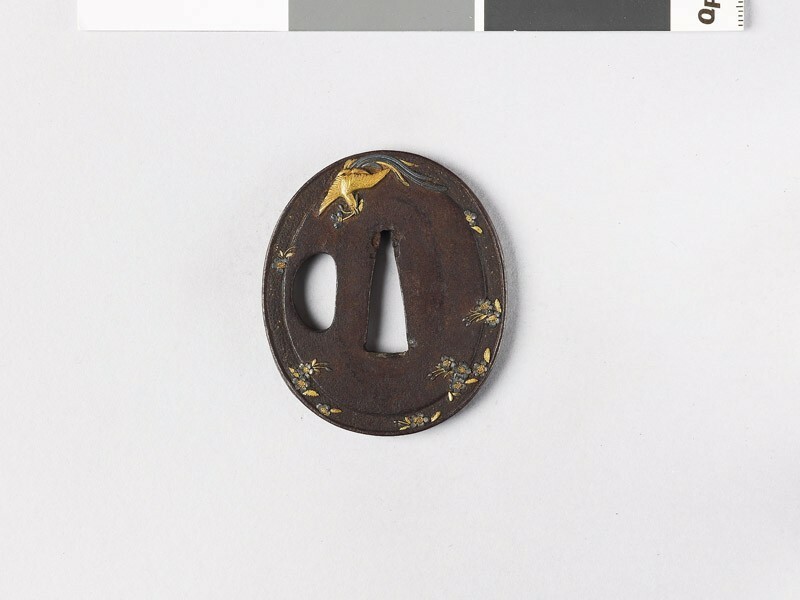 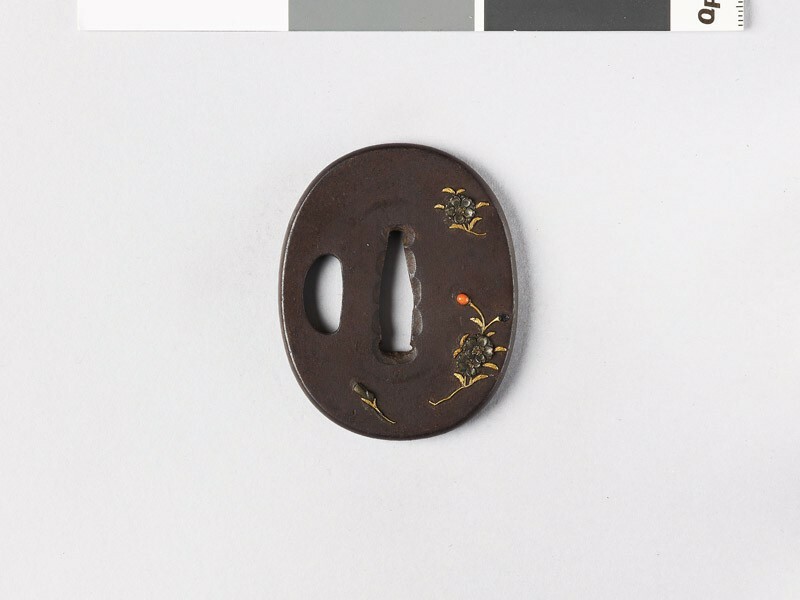 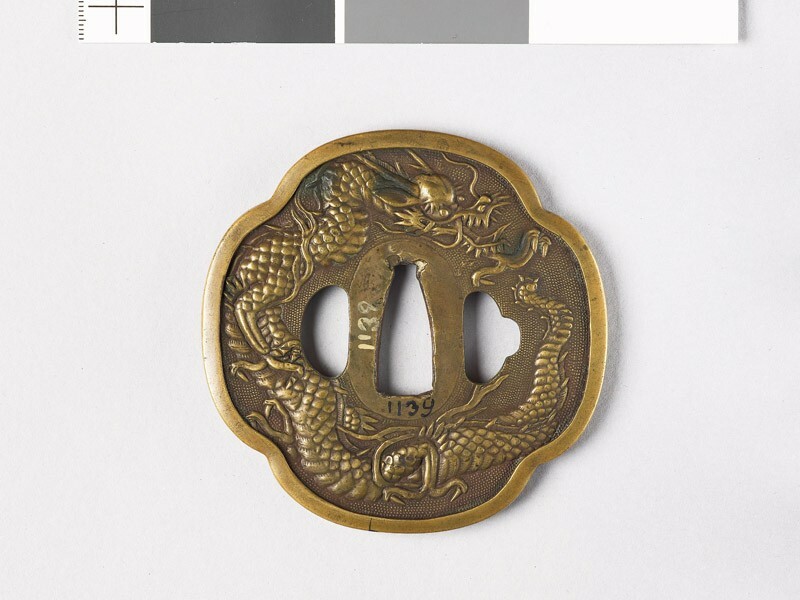 We have already, in the previous group, seen the reverse process- the imitation of lacquer in purely metalworking techniques. 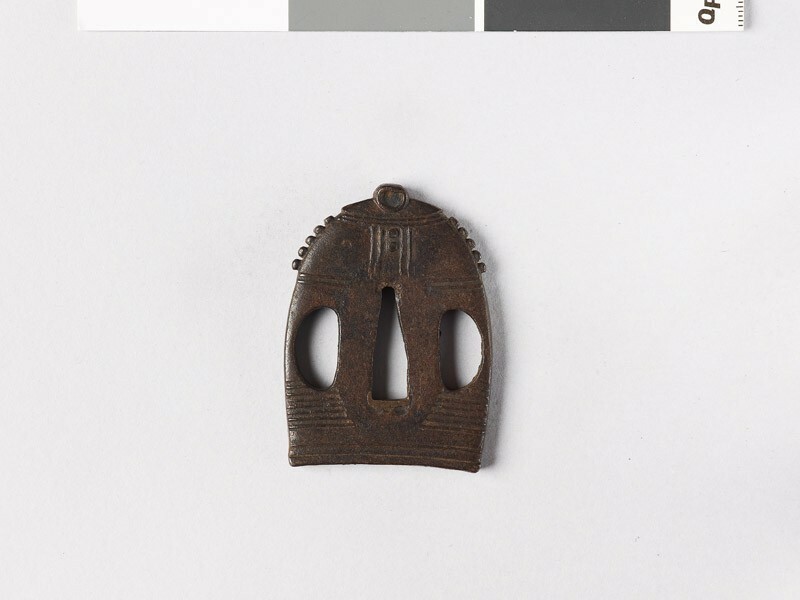 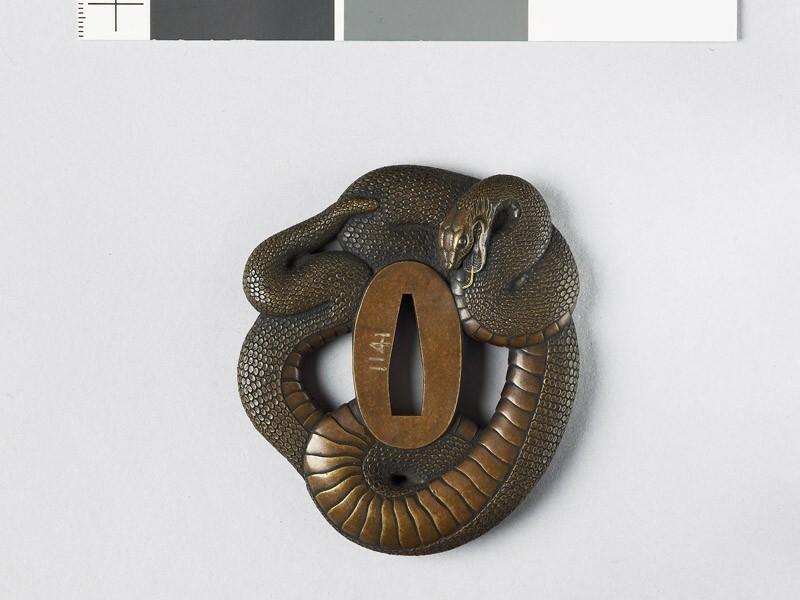 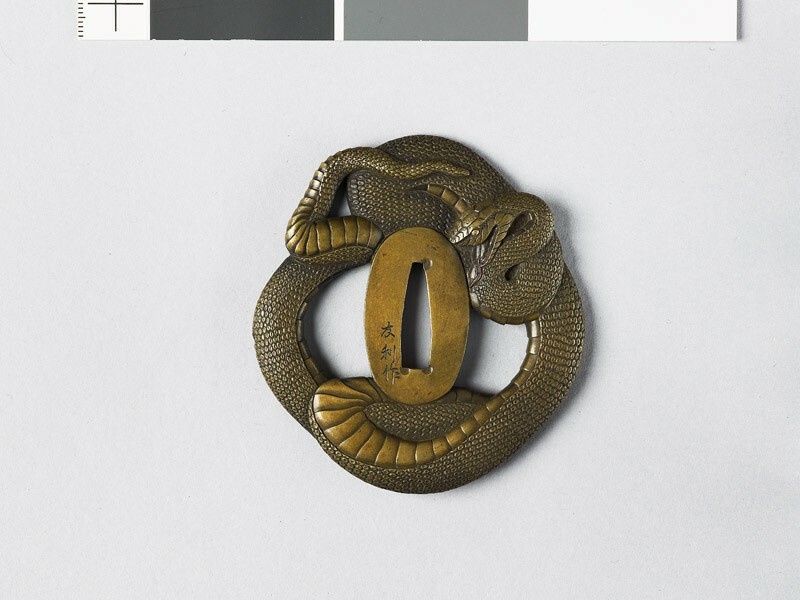 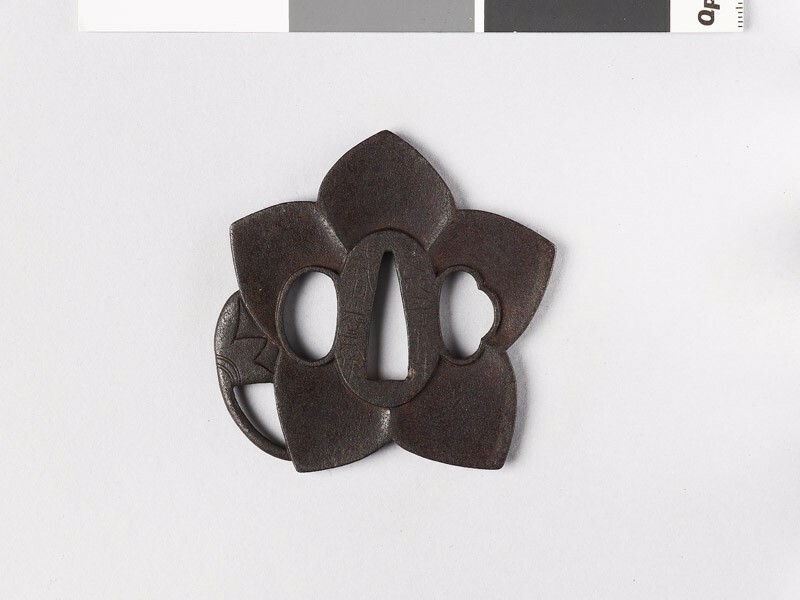 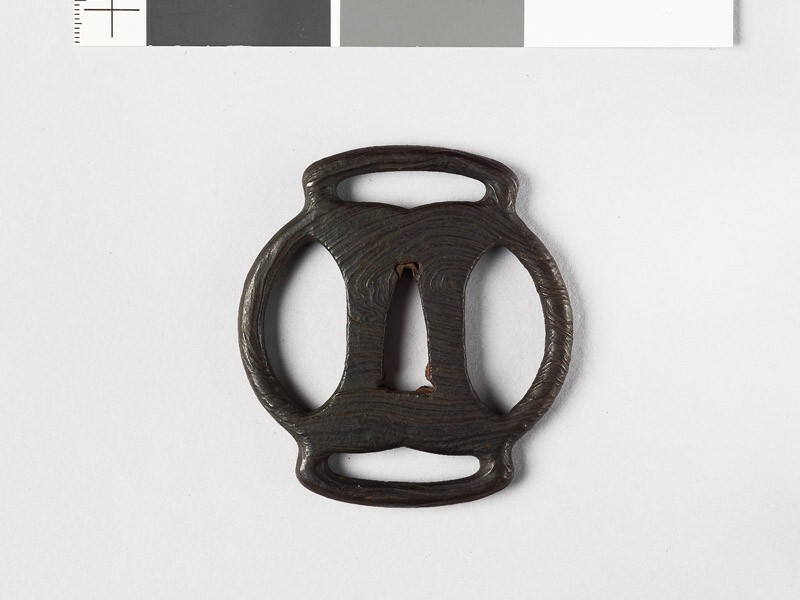 In other groups, also, scattered examples are to be found of metalwork masquerading for the nonce as a piece of brocade or of stamped leather, and the like. Most, if not all, of the numerous lacquer processes practised in Japan were laid under contribution for sword-furniture. The chief group of lacquerers working in this line were Yamada [Japanese text], founded by Jōka (or Jōkasai) at the end of the 17th century. 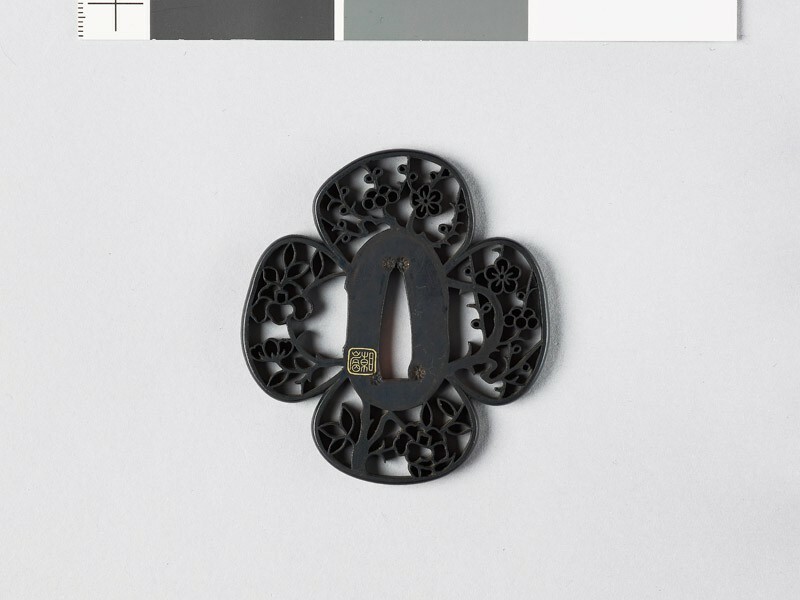 He had several followers, all assigning the same name; the last was still working at the age of 68 in 1879.